Rochelle Harkness is a Senior Financial Analyst at Fifth Third Bank, and has been since May, 2016. Rochelle currently supports the Commercial Bank in a Business, Planning and Analysis Function. She is responsible for analyzing Commercial Deposits trends and forecasting balances and Interest Expense. Additionally, she is responsible for expense management, Commercial Key Performance Indicators, and other ad hoc projects. 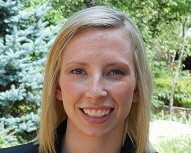 Prior to joining Fifth Third Bank, she previously worked for Fidelity Investments in a finance role supporting the WI Sales Organization, as a Senior Financial Analyst for PNC Equipment Finance, as a Retail Trader for Capital Analysts, Inc. and she previously worked in Fidelity’s phone organization as a Series 7 Instructor, a Defined Contribution and Retail representative. Rochelle brings her financial expertise to the Motherless Daughters Ministry and has been serving in a financial capacity since 2009, auditing the finances and preparing financial reports. Rochelle is a graduate of Northern Kentucky University and has an MBA from Xavier University.